Ir Prof Yuen obtained his first degree in Mechanical Engineering at the University of Hong Kong and his PhD in Fire Dynamics and Engineering from the School of Mechanical and Manufacturing Engineering, University of New South Wales, Australia. He is currently the Professor and Assistant Head of the Department of Architecture and Civil Engineering, City University of Hong Kong. He is a fire engineer and also a building services engineer by profession. He is a Registered Professional Engineer and Cooperate Member of various international professional bodies including the IFE (UK), SFPE (USA) and HKIE (HK). His research interests include fire safety and engineering, pyrolysis and combustion, applications of computational fluid dynamics (CFD), fire retardant materials, neural network modelling applications in fire engineering, building energy conservation, lighting and ventilation, HVAC systems and indoor air quality. Over the years, he has been awarded over 7 GRF (formerly, Competitive Earmarked Research Grants) and over ten Strategic Research Grants from the University in the area of fire safety and engineering (total amount over HKD 8 million). Currently, he is the Co-PI of the project entitled "Safety, Reliability, and Disruption Management of High Speed Rail and Metro Systems" under the Theme-based Research Scheme of the Research Grants Council (RGC) of the HKSAR. He has successfully supervised many PhD students in the fire research area. He also participates in the CityU-USTC Advanced Research Center at Suzhou (between the University of Science and Technology of China and City University of Hong Kong) for supervision of over 15 PhD students for researches in fire sciences. Ir Prof Yuen has over 220 publications including international journal articles, conference papers and research reports, etc. He has been engaged in research consultancies for both private and public sectors in a number of areas, in particular, the fire safety engineering and HVAC engineering, etc. With years of research and development experiences, he co-authored the book entitled: "Computational Fluid Dynamics in Fire Engineering - Theory, Modeling & Practice" published by Elsevier in 2008. He has been actively involved as members of the organising committees, technical and publication committees and international scientific committees for many international conferences. He is also the members of editorial boards for various international journals. Ir Prof Yuen has been actively serving professional institutions including the Founding Member of the Disciplinary Advisory Panel of Fire Discipline (2006-2012) and Chairman of the Accreditation Committee for Higher Diploma and Associate Degree, the Hong Kong Institution of Engineers (2010-2015). Ir Prof Yuen has had a very close working relationship with government and public bodies including the Electrical and Mechanical Services Department, Fire Services Department and various Government Secretariats of the HKSAR Government and has also been actively serving in various government and public boards and committees including the members of Examination Board for Lift and Escalator Engineers of Electrical and Mechanical Services Department (1999-present), Fire Safety Vetting Committee (2007-2013), Authorised Persons Registration Committee (2010-2013) and Fire Safety Committee and the Advisory Committee for the Fire Safety (Buildings) Ordinance and Fire Safety (Commercial Premises) Ordinance, Buildings Department, the HKSAR Government respectively. 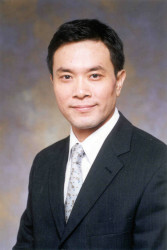 Ir Prof Yuen has been appointed as member of the Engineering Panel of the Research Grants Council of HKSAR, since 2015.